More than just an accommodation, enjoy the rustic, pleasant atmosphere and comfortable amenities at Darayonan Lodge Coron. 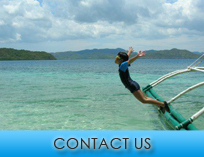 Located in Barangay Poblacion, Coron, Palawan only 20 minutes drive by a private car from Francisco B. Reyes Airport. Feel the ambiance that is full of clarity in mind and a restful heart with sights and activities within the area. A stay in Darayonan Lodge feels like a day in your own rest house with pools, poolside bar, coffee shop and a restaurant. 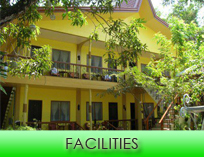 Rooms are air-conditioned with writing desk, cable TV, hot and cold shower and a veranda. Darayonan Lodge is a perfect hideaway for those who want to marvel and enjoy Coron's beauty and serenity. We arrange and make things possible and easy during your stay.